The events following Hurricane Sandy an unfortunate reminder to all HR professionals and business leaders that natural disasters, power outages, and issues with transportation systems can emerge at any time and have implications on the workplace. In such circumstances, HR plays two pivotal roles as 1) policy developers and communicators and 2) crisis planners and managers. In HR, you must set and communicate the policies for your business, in collaboration with your business leaders and line managers, regarding how to handle crises and threats to your employees' safety and normal business operations, like inclement weather. In our research, however, we find that only some organizations (39%) have a specific policy covering inclement or adverse weather. What determines whether your organization stays open? How will your organization communicate closures and/or delays to employees? How will issues of attendance or tardiness be handled? Will tardiness, absenteeism, etc. be considered excused or unexcused? Will issues be considered on a case-by-case basis or according to set policy? Will there be separate policies for voluntary and involuntary absences/tardiness? How will FMLA be handled? Will you allow work-at-home/telecommuting options? Under what conditions will these options be available? Which employees will be able to use these options? How will pay/wage and hour practices be administered if employees are voluntarily or involuntarily tardy or absent? How will compensation be handled for non-exempt and exempt employees? What wage and hour issues may surface? Beyond policies, HR should play a critical role in developing and updating strategies for emergency planning, disaster recovery, and safety alongside business leaders to help ensure that employees and managers know how to respond should a crisis surface. 69.7% of employers say they have a disaster recovery plan according to the 2012 ERC/Smart Business Workplace Practices Survey, which suggests that these policies are common among local employers. Below are some tips for HR's role specifically in crisis planning and management, many of which are focused on communication. Update employees' contact information regularly - ideally at least once per year. Make sure that you have emergency contacts for each employee. Develop a plan regarding how your HR functions will operate during or after a disaster, including critical functions like payroll and employee communications. Identify key/critical employees who will be required to come to work during the crisis (IT, senior managers, operations staff, etc.). Create a timeline for workplace closure or delays. 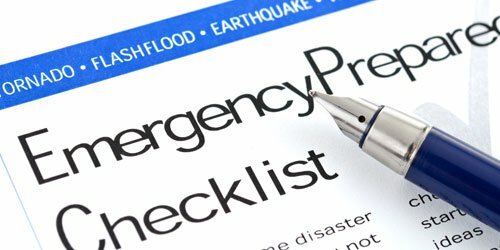 Consider the time that employees may need to take care of personal situations during a crisis. Identify roles during a crisis, such as important tasks that need to be completed before and after the crisis. Communicate with employees immediately following a disaster. Collect information about where they are as well as information or updates about the business. Keep leaders transparent and communicate to employees how leaders can be communicated with during the crisis. After a disaster or crisis, meet with executives and even employees, review the disaster recovery plan, and identify opportunities for improvement for better plans in the future. Whether your organization was negatively affected by the recent storm or not, as HR professionals and business leaders, it's a good idea to revisit your communication and crisis management plans and practices, especially as winter approaches Northeast Ohio. ERC Preferred Partner, Professional Travel works with organizations to create managed travel programs so that employees who travel can be located at any point in time. In times of crisis, a managed travel program helps ensure employees' safety and also has cost-savings benefits. ERC Members receive a free review of their expenses as well as their business travel practices and how they are managed through Professional Travel.